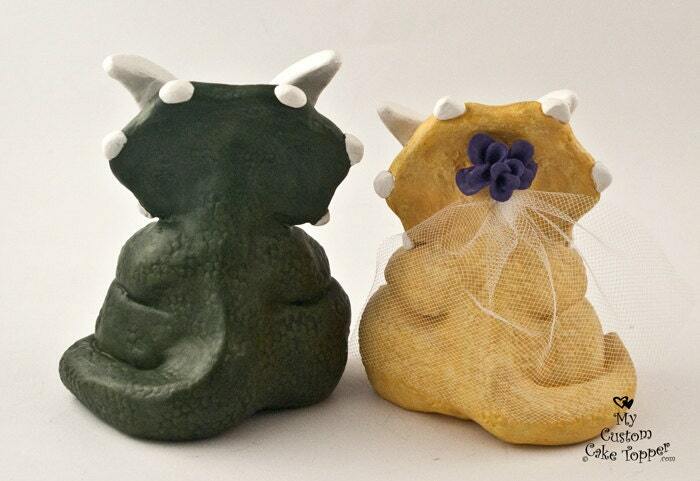 Triceratops Dinosaur Wedding Cake Topper! 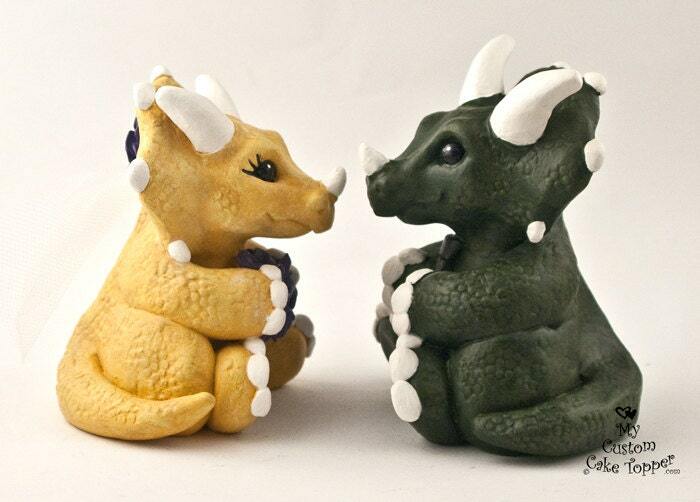 Perfect for the dino lover of any age! 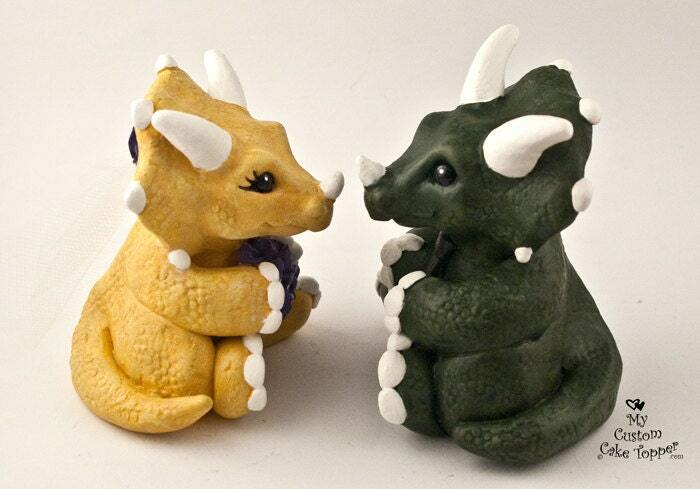 You can personalize your cake topper to the colors and accessories of your choice. 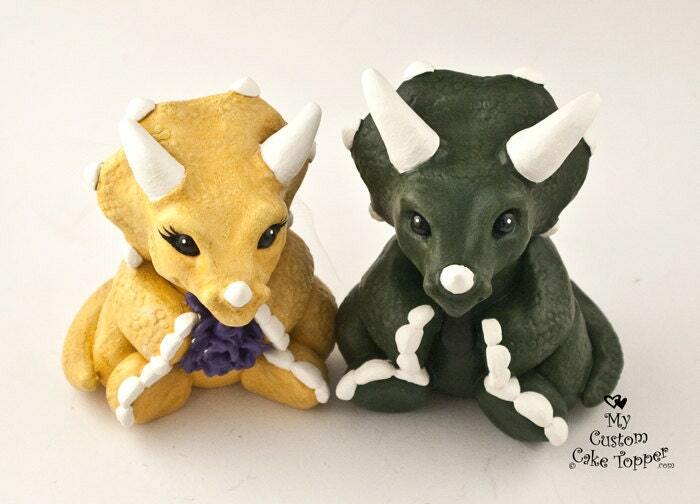 These are examples of my previous works. 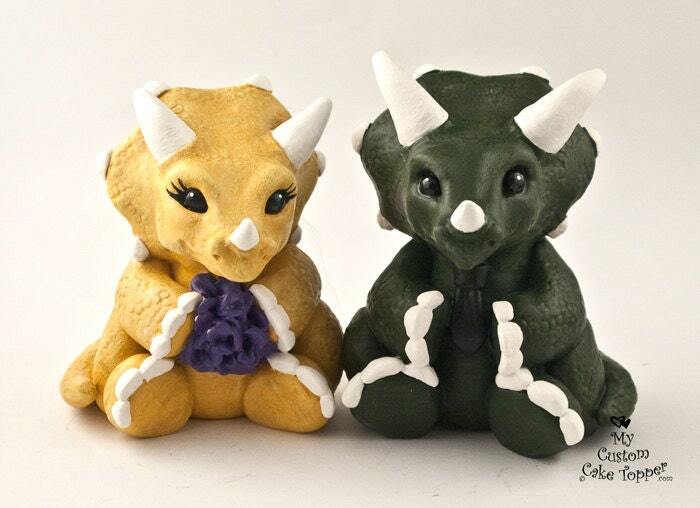 All of my works are handmade from polymer clay, they are non-toxic and can last a lifetime with proper care, a perfect keepsake from your special day.